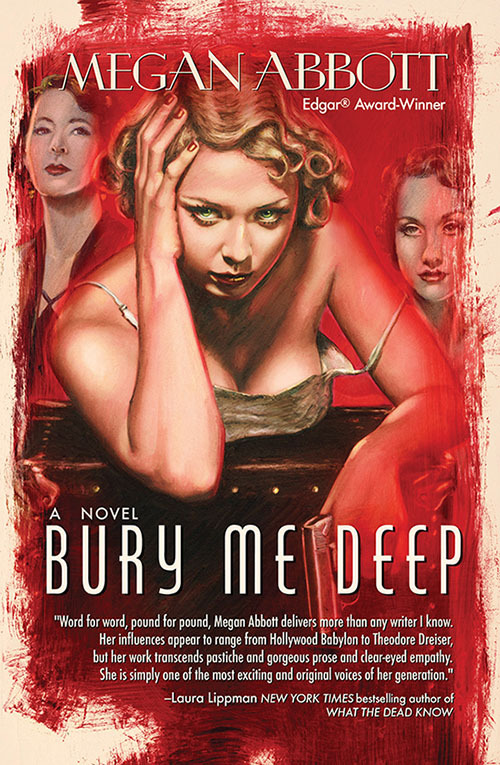 Bury Me Deep is loosely inspired by a famous crime that scandalized the country. In October 1931, a railroad employee at the Southern Pacific Train Station in downtown Los Angeles noticed something leaking from a passenger trunk. Inside, he found the bodies of two young women. The trunk's owner was a young doctor's wife, Winnie Ruth Judd, en route from Phoenix. The two women were her best friends. A media sensation, the case captivated the country, with tabloids dubbing Mrs. Judd the "Velvet Tigress," the "Blonde Butcher" and, most famously, "The Trunk Murderess." To many, the case appeared open and shut. But the truth, as always, is far more complicated. Megan Abbott talks about Bury Me Deep and the real-life case behind at Poisoned Pen in Scottsdale, with author Theresa Schwegel. Watch here.